The whole notion of DRM took a tiny bashing today as users’ rights won out over those of copyright holders. 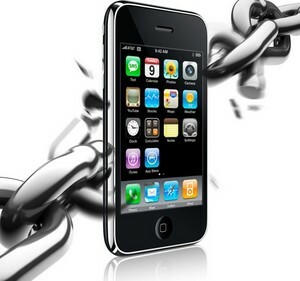 First up: Jailbreaking iPhones is now legal. Jailbreaking your iPhone (hacking it to “free” it from the shackles of Apple’s strict app management policy) has been controversial for a while, with Apple and the user community playing a game of cat and dog with new versions of the iPhone’s OS, and new jailbreak exploits popping up. At certain points, it’s even been threatened that the act of jailbreaking one’s iPhone is a legal offense — it contravenes a 1998 federal law designed to protect device manufacturers and prevent users from bypassing lock-downs on devices which are placed there to prevent unauthorized use. Apple used to allege that jailbreaking was unauthorized but now keeps quiet on the matter–several iPhone viruses, which only affect jailbreakers, have done its PR for it. Its exactly because of these sorts of issues (preventing viruses exploiting the iPhone for nefarious botnet-style purposes or stealing all sorts of sensitive user data or keeping the user experience at a maximum by only running optimal code) that Apple preserves its lock-down on the iPhone. But the newly granted exemptions from the law effectively legalize jailbreaking an iPhone, allowing the breaking of DRM like this for “fair use,” as in letting a user control which software they choose to put on their own cell phone. It’s a boon for people who’ve been clamoring for this sort of Net-neutral behavior. And Apple probably won’t mind about this aspect of the new laws, as all it will have to do is adjust its EULA to reinforce the point that any user who jailbreaks their phone instantly absolves Apple of any blame in any potentially disastrous events that occur as a result. Other exemptions revealed today may well stick in Apple’s craw a little (or at least, AT&T’s), because it’s now permissible to break DRM so that you can switch wireless carriers. That’s actually going to have big implications in the U.S. cell phone market, compared to Europe, where unlocked phones are pretty typical. The right to break DRM on video games is now also protected, but only if you’re doing so to investigate or correct design flaws in the code: We can probably expect many creative “interpretations” of that “investigation” clause, and lots of exciting new patches and tweaks for big-name games popping up. There’s also extra leeway for educators to break DRM on materials they’re using to teach material to classes, and for computer users who’s dongle-protected devices are disabled thanks to a defective or no-longer-supported dongle. More than anything, though, the new regulations will come as a bit of a shock to the computer/media industry in general which has become used to using DRM to “protect” its interests, even when these interests are actually contrary to what you may think are actually their customer’s best interests. Given the amount of lobbying that the music biz and movie labels do inside Washington’s corridors of power, it’s actually a bit surprising these amendments have been passed.